This reference design provides accurate measurements of ambient light intensity used to detect arc flash faults with a fast response of 1 ms, protecting or minimizing damages to power distribution switchgear. 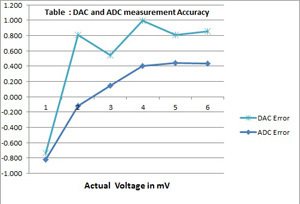 This design also monitors temperature (using switch, analog, digital or remote ), humidity, dust, and pressure accurately for online monitoring of busbar, transformers, and capacitor banks for early indication of faults, insulation failures, or ageing, resulting in increased operational life. 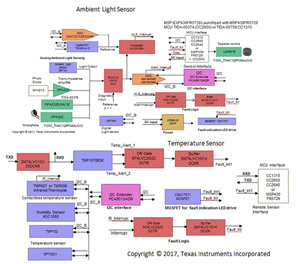 This design provides a unique diagnostics approach within 1 ms during low load current for diagnostics of an ambient light sensor (ALS), increasing the system reliability. The sensors can be interfaced to microcontrollers with I2C or a low-power, wireless interface to perform weather transmitter functions for continuous online monitoring to simplify the system design.